Travel is awesome. Food allergies are not. Vacations should be about relaxation, exploration and connection. With one in 13 children under the age of 18 facing life threatening food allergies, however, close to 15 million parents worry about how to handle a severe allergic reaction while away from home. I don’t let my children’s allergies keep our family from seeing the world, and neither should you. Here’s an action plan for traveling with children with life threatening food allergies. 1. Understand how food allergies will affect your travels. 2. Avoid anaphylaxis while traveling, but come prepared. 3. Choose the right destination for your food allergic family. 4. Develop a flight plan for food allergies. 5. Research and bring food for your travels. Before having kids, I traveled extensively throughout the United States, Canada, Mexico, Central and South America, Europe and the Caribbean. I felt so adventurous and free, and still remember how amazing it was to honeymoon in London and Rome with my husband, with just one carry-on suitcase and a dog-eared guidebook between us. We wandered as we wished, mingled with the locals and ate at all kinds of neighborhood restaurants. We knew we wanted to instill a love of travel in our own children, until of course, our oldest was diagnosed with a life-threatening peanut and tree nut allergy; in addition to severe allergies to wheat, corn, soy and sesame seeds. And when our second child came along, she too was diagnosed with food allergies, including dairy, egg whites, peanuts, wheat, corn and soy. And while the idea of exploring the world while keeping all those allergies in check seemed overwhelming initially – we eat three times a day, after all – we were determined not to let allergies keep us from traveling as a family. Almost ten years later, we haven’t stopped seeing the world. Our kids, William and Winter, are bonafide travel hounds with road trips across various states, and trips to Scotland and the Caribbean captured in their travel journals. Parents of food allergic children worry about anaphylaxis, whether traveling or at home. Anaphylaxis is a severe, potentially life threatening allergic reaction that can occur seconds or minutes after exposure to an allergen. 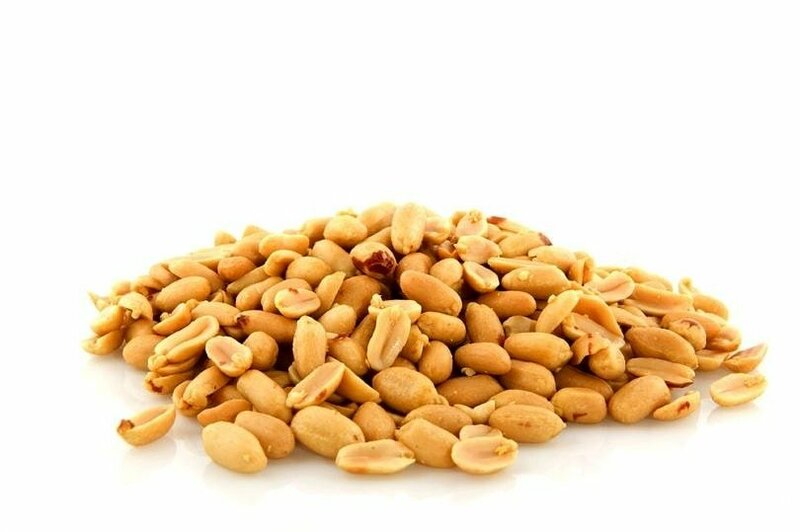 The most common food allergies include dairy, eggs, peanuts, tree nuts, fish, shellfish, soy and wheat. The resulting flood of chemicals released by the immune system can cause shock, narrowing of the airways, nausea, vomiting, diarrhea and even death. The idea of traveling beyond the safety of home can make even the most seasoned traveler balk when it comes to their children’s safety. An injection of epinephrine can stem symptoms of anaphylaxis until emergency medical professionals arrive. Families who live with life-threatening allergies typically carry auto-injectors and antihistamine medication. My family carries a portable first aid kit packed with two auto-injectors, asthma inhalers, acetaminophen, ibuprofen and general first aid. The key for us has always been research, careful planning, steadfast advocacy and packing a carry-on bag with safe foods. We’ll be heading to the Bahamas and Mexico next (shhh, the kids don’t know yet). Over the years we’ve been able to focus on enjoying our time away as a family as opposed to freaking out about food. When you first starting traveling with children with life threatening food allergies, explore countries where you speak the language. Language barriers can make it difficult to communicate allergy concerns, which is why we have limited ourselves to English- and Spanish-speaking destinations thus far. It is absolutely critical that you advocate for your child without the risk of miscommunication. Be prepared to explain your child’s needs repeatedly in a firm yet polite way. Many people (both in the U.S. and abroad) don’t have experience with food allergies and may be dismissive of, or not understand the severity of the situation. Consider ordering food allergy cards (available in myriad languages), or hiring a guide who speaks the native language in any given destination. Knowing how to get to the nearest hospital/doctor/urgent care is always a good idea. We make sure to let our pediatrician in our plans as well. Also, we arrange in advance the best way to communicate with her (email/text/phone call) in case of an emergency. Before booking your flights, look up the airline’s allergy policy and list of foods served on board. Many airlines still hand out those little packets of peanuts, but others offer alternative snacks that may be safe for your child (like pretzels, crackers, and cookies). Try to book direct flights that leave in the morning. Planes are cleaned overnight, decreasing the likelihood of encountering allergen residue on seats, seat pockets and tray tables. Airplanes are a mode of public transportation, however, which means you might come across a seat covered in peanut dust or other allergens. Consider having one parent (or travel companion) pre-board to wipe down the area where your child will be sitting, or to cover the seat with a blanket. We’ve done both. Always bring your labeled auto-injectors, antihistamines, asthma medications and the like with you onto the plane. Do not check them. Keep these items within arm’s reach – not in the overhead bin. We’ve found that having a copy of our anaphylaxis action plan and a letter from our pediatrician on official letterhead to be invaluable as well. That being said, be prepared to spend extra time going through security. My husband and I divide and conquer. While I wrangle the children and luggage, he handles the carry-on bag filled with safe foods, our action plan and doctor’s note. While this has led to countless pat downs, swabs, x-rays and explanations, we’ve never had anything confiscated. Bring your own food for the journey. Don’t allow your child to eat any meals prepared by an airline in case of cross contamination. Be sure to pack extra food in case of unforeseen delays. We pack one carry-on with non-perishable food every time we travel. 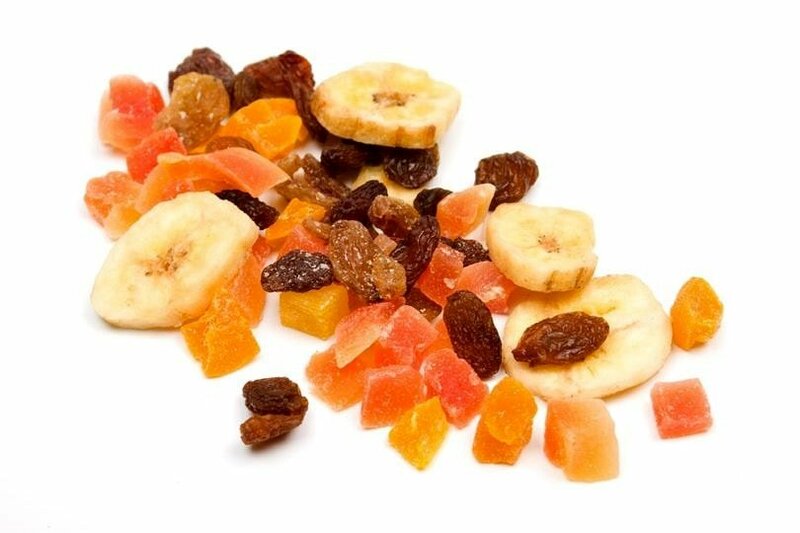 This bag contains gluten-free pasta/oatmeal/cereal, peanut- and tree nut-free crackers and cookies, a case of single-serving almond milks, and sulfite-free dried fruit pieces. 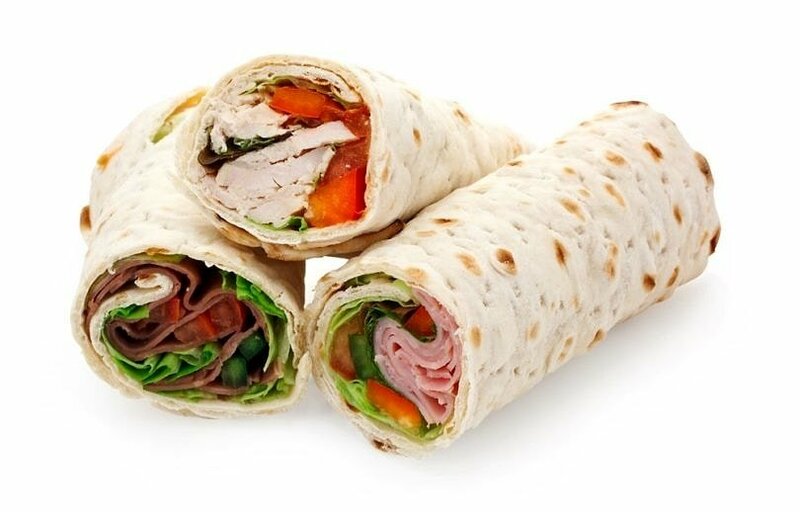 Allergen-friendly foods may not be available in the airport or at your given destination, so plan accordingly. Make sure to check import restrictions for your destination as well. This includes countries where you will catch a connecting flight. Researching local food labeling laws in your given destination is also important. Not all countries list allergens, trace allergens or possible shared equipment concerns on their packaging. Therefore, you need to be sure to exercise caution when purchasing or eating local goodies. With some careful planning and preparation, it is possible to enjoy traveling with children with life threatening food allergies. Your family may not be able to eat everything, but you can still experience the wonderful flavors of the world through travel. 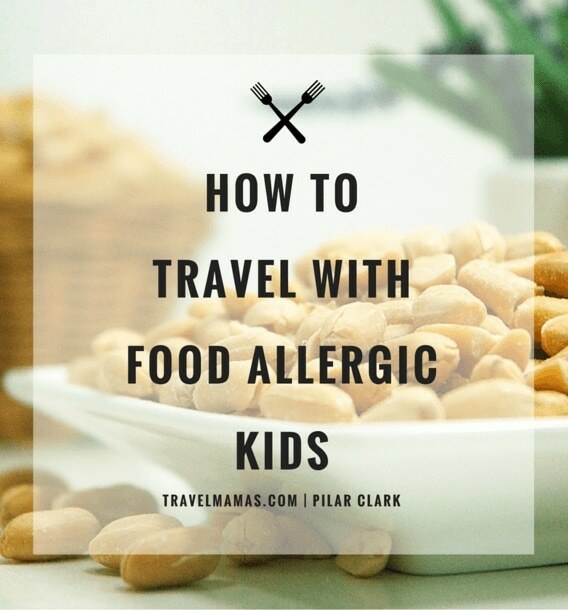 How do you manage traveling with children with life threatening food allergies? Got any tips or questions? Let us know in the comments below! A Note from Travel Mamas: Travel Mamas does not provide medical advice, diagnosis or treatment. Although The Offbeat Travel Mama is a special needs mom and student in the medical field, she recommends consulting with your pediatrician about your children’s allergies and whether travel is safe for them. Top Photo by Pilar Clark. This story first posted in 2015 and was updated in 2017. Such a great resource for those who deal with food allergies–it can be so hard, and I feel lucky that we haven’t had to deal with it yet with our kids. Definitely pinning this for reference though as several of my friends have kids with food allergies. So glad you found my piece helpful, Kate! Thanks, too, for passing it along to those parents who could use it. Thanks for this great resource. I have a daughter who is severely allergic to tree nuts, and i do many of these things, but not all. Good to have all this great info in one accessible place I can reference before my next trip. Thanks! Thanks for taking the time to comment on my piece, Katie! Food allergies are the worst (as you know), but I’m so glad you found my suggestions helpful. Happy travels! This is a very helpful article and I will keep your hints in mind for our treenut allergic son. I was surprisedto read that you are so careful with peanuts and treenuts but still pack almond milk? We avoid ALL nuts when traveling since it is very hard to explain the differences between which treenuts are safe and those that are not. It been much easier for us to say NO NUTS AT ALL in all languages rather than explain why almond milk would be ok. Also, we used to get translated allergy cards from Select Wisely, but I think they have gone out of business? Now we just type all allergens, etc. into Google Translate and laminate the cards. Voila! Excellent solution and much more budget friendly. Happy Travels to all! We have a bit of a strange balancing act in that regard. My son is allergic to all nuts, but my daughter is allergic to dairy and peanuts/walnuts only. She can’t drink cow’s milk, so we pack a few individual servings of almond milk to tide her over. She also eats Nutella, which is obviously a no-no for our son. The kids have gotten used to our methods of food segregation, so they avoid each other’s items. Great tip as well! Safe travels to you and yours! Great article!! We recently found out our daughters peanut allergy increased very high and my mother in law had a trip to Mexico planned for this Christmas.. I recently found out about how high her allergy was and debated not going and staying back with her (she is only two and I don’t know much about the hospitals in Mexico, so it’s great to know you can pack your own food… it would be really nice to go and be with everyone for Christmas! Thank you for taking the time to comment, Kristin! I can completely understand your hesitation to travel considering your daughter’s heightened allergic response, but I do encourage you to work closely with your child’s pediatrician to find a way for her to join the family festivities in Mexico! Food allergies take careful consideration and planning for sure, but the more you become used to your daughter’s allergies, the more comfortable you will be when traveling abroad with her. It gets easier – I promise. So sorry to hear that your daughter had an allergic reaction! That is so scary! I can relate – my son had an anaphylactic reaction to peanut butter (we didn’t know it was in his egg roll) on Christmas Eve last year. It came from a restaurant we had ordered from for the past 10 years too! Go figure. Unfortunately, I don’t have any specific advice regarding hotels in Mexico as our visit was part of a port of call. However, a good rule of thumb is to search for private hospitals that are approved by Joint Commission International (JCI.) It’s a U.S.-based organization that evaluates hospitals all over the world and has very rigorous standards. What a great post! Allergies can really keep everyone on edge as there is just no room for error. I am the only one in my family with food allergies and lots of allergies that just seem very random. It has made traveling seem daunting at times till I had a plan that worked for me and a well stocked arsenal of things I needed to help prevent allergy problems and treat them if I had problems. Thankfully, I’ve never needed anything other than the over the counter stuff which helped me when I learned the hard way I was allergic to saffron of all things. I blog about traveling with the kids and have a post on allergies, too. You can never been too prepared! I am blessed that my kids don’t have any food allergy but kid of one of my friends has. It is really hard for them to travel. I will tell her to read this blog. You have mentioned great tips. Thank you for sharing my tips with your friend, Sapana! Pilar, I’m planning a trip to Scotland with my daughter and we both have similar allergies to your childrens’. I would so appreciate specific recommendations for safe eating during the visit; items that you were able to purchase or order at restaurants that were allergen-free. Many thanks! How exciting, Stacey! Have any room for a stowaway? (JK.) We brought a lot of non-perishables along with us while in Scotland, but had excellent meal choices at Hadrian’s Brasserie in The Balmoral hotel in Edinburgh, as well as Pizza Express. Don’t let the name fool you – despite being a chain, the offerings are more on par with California Pizza Kitchen than Dominos. We tend to eat at the same restaurants during our stay, especially once we find ones that are safe for us. If you’ll be headed outside of Edinburgh, let me know where, and I’ll do my best to suggest additional eateries. How about north of Edinborough? Travelling for the first time out of the US with our 16yr tree nut allergic daughter and am a little nervous about it. Spending a week in Edinborouth, then another week north in Inverness (etc). 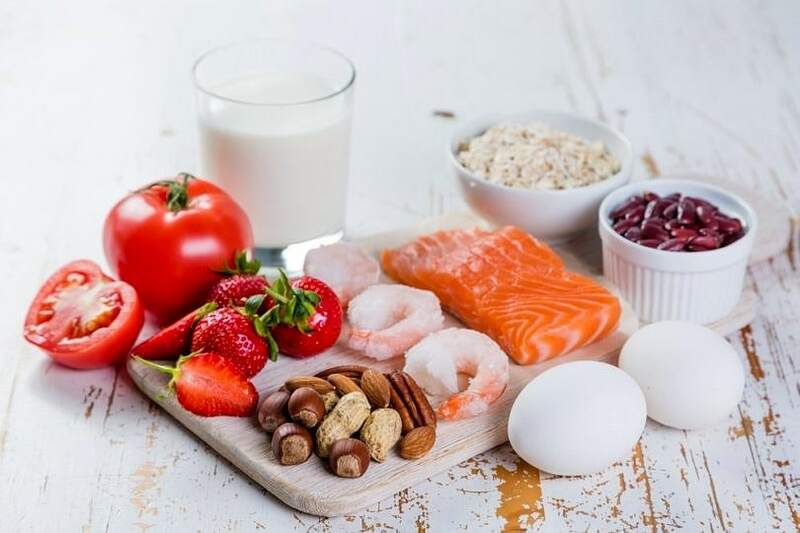 When introducing foods to your baby, include those which may cause an allergy (e.g., cow’s milk, eggs, peanuts, tree nuts, soy, sesame, wheat, fish and other seafood), within their first 12 months of life. Studies show that this may reduce the chance of your baby developing a food allergy. Thanks for the tips, Kavita!